Augmented Reality(AR) is slowly taking over the world. I’ve been keenly following all the buzz from the AR industry and being a gamer I am more than excited. I got a pair of Google Cardboard as soon as it was available in my area and oh boy it was one of the best day. When Microsoft announced Hololens back in 2014 I was way too much excited about it but my excitement level came down when I came to know how expensive it was going to be. But the following year’s developers started using the power of smartphone devices and started making AR games around it. I’ve been using my Cardboard headset to enjoy these games but after a while, my head started to pain. So I slowly reduced my cardboard usage and later completely stopped using it. I really wished I could play AR games without a headset. I think my wish has come true. I came across an amazing AR game. The app is called CheckARs. It’s Checkers in AR, I really loved how they creatively included both ‘Checkers ‘ and ‘AR’ in their game title. For those who doesn’t know what checkers is, let me give you a short description. 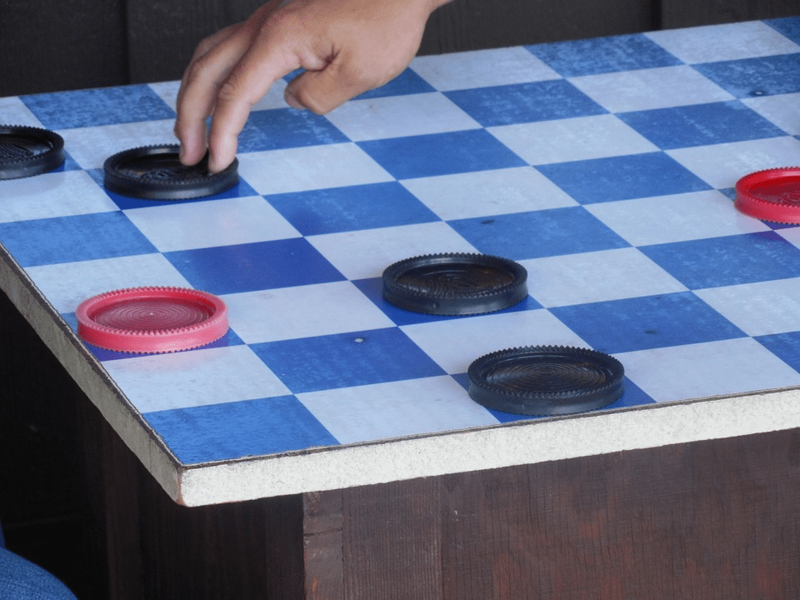 Checkers is a very old board game which is around since the 12th century. You need a checkerboard(see image) and a couple of pieces depending on the size of your board. Now let’s talk about the AR game. CheckARs brings the checkerboard and the pieces as a virtual object into the real world and creates a mixed reality. It allows you to place the checkerboard anywhere in your surrounding. 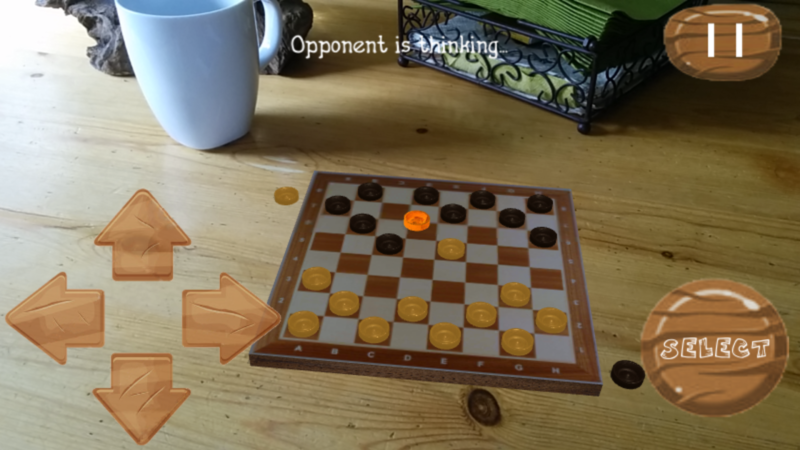 You can place the virtual checkerboard on any physical object, unlike other AR games which require you to place a device on the surface or asks you to print and scan QR codes. My best feature is that I can play the game with my friends sitting face to face. Just like how they share the same dream in Inception, you share the virtual environment with your friend. How cool is that? Too long to read? Check out the video below and get to know more about the game. If you have an android device check out the game here. Let me know your thoughts using the comment box below.